Add rose petals from two or three flowers to an ice tray, cover halfway with distilled water, and freeze for a few hours. Remove the half frozen ice cubes from the freezer, fill the remaining with distilled water, and put the tray back in the freezer. This will allow your roses to be in the center of your ice cubes. Place 3 or 4 ice cubes into a tumbler glass, and fill the glass about halfway with the lemonade. 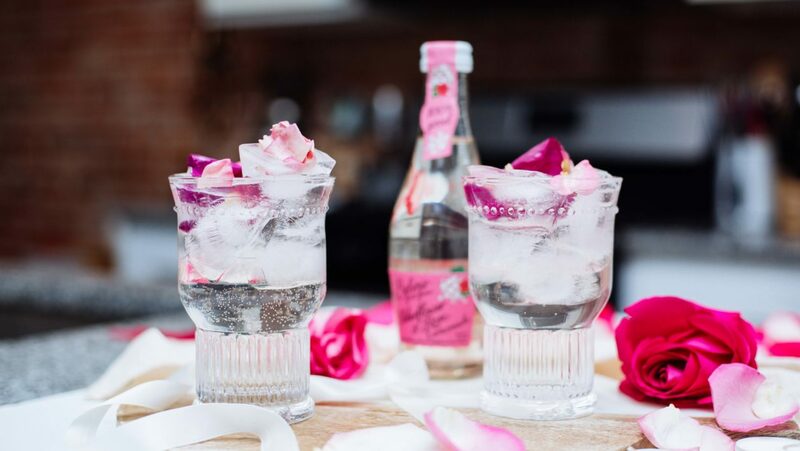 Top off with your choice of liquor and serve with fresh rose petals.